Flibanserin (brand name: Addyi) is the first drug to treat lack of sexual desire (Hypoactive Sexual Desire Disorder) in premenopausal women. Although the drug is ineffective and potentially dangerous, the FDA approved it in 2015 over the objections of the NWHN and others. According to the drug company that makes Addyi, the drug is believed to work on the part of the brain involved in sexual interest and desire. However, the exact mechanism of action is not fully understood. 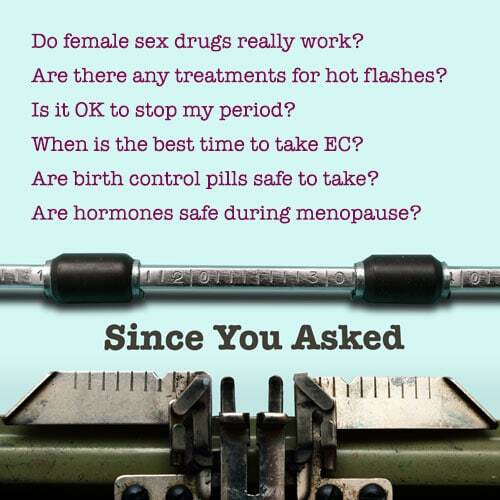 What did the FDA know when it approved flibanserin? The FDA rejected Addyi in both 2010 and 2013 because randomized clinical trials did not show that it was any better than a placebo. Those same trials raised serious safety concerns, mostly about the sedative effects of the drug. A new randomized trial was conducted which tried to address both concerns. The definition of “effective” was changed and women were instructed to take the pill at night. Even with nighttime dosing, however, the new trial found that women who took Addyi were twice as likely to be involved in car accidents and other accidental injuries as those who took the placebo. Using the new definition of effectiveness, the trial found that the pill increased desire in about 10% of the women who used it. In those women, increased desire resulted in about one more sexually satisfying event per month. After reviewing these results, the FDA asked the sponsor to investigate whether the serious adverse events were the result of Addyi being used in conjunction with other medications. Some of the less dangerous side effects, including sleepiness, dizziness, and fatigue were reported more often in women who used hormonal contraceptives. This is because hormonal contraceptives are known to affect a certain enzyme (CYP3A4) which can increase flibanserin exposure by 40%. Beyond hormonal contraceptives, many other medications and products run the risk of increasing adverse side effects in Addyi users. During Phase III trials, women who were already taking certain drugs, such as antiepileptic drugs, anti-anxiety drugs (benzodiazepines), antidepressants, antipsychotics, mood stabilizers, narcotics, certain vaginal lubricants, or even the herb St. John’s wort, were barred from participating. The FDA also asked the sponsor to do a study of the interaction between Addyi and alcohol. The clinical trials raised the possibility that accidents caused by Addyi were more common in women who drank alcohol. Despite being a drug intended for women, the drugmaker submitted results of a study done in 23 men and only 2 women. The results were alarming. Taking Addyi while drinking alcohol caused dangerously low blood pressure and sudden loss of consciousness. As a result, the FDA added a warning that women should not drink alcohol while taking Addyi. Gaps in the effectiveness studies were equally troubling. The drugmaker required that women be heterosexual and in a stable relationship, excluding lesbians and other women who are sexually active outside committed relationships. Three thousand and ninety nine women were in these trials. Two thousand seven hundred and forty three, or 89%, were white. The FDA was not able to determine whether Addyi affects women of color differently. The participants who enrolled in the initial clinical trials of Addyi were generally very healthy women, in part due to the long list of exclusion criteria for the trials. Given that the drug was tested in a narrowly restricted group of women, the extent to which the results of these trials can be generalized to the public is unknown. When the FDA approved flibanserin in 2015, it mandated that the pharmaceutical company conduct a series of follow up studies. One of these follow up studies was intended to better gauge the effects of alcohol on women taking Addyi. The study was completed in late 2016, and later submitted by the company to Health Canada as part of their application for marketing approval. The second alcohol study was also problematic. It was done in women, which was an improvement over the first alcohol study, but the sponsor changed the rules. Participants were given less alcohol — specifically, three 1.5 ounce “spirit-type drinks” instead of the two to four drinks the subjects received in the initial study. The company also excluded women with “borderline” low blood pressure from this study. The sponsor says that there were no incidents of dangerously low blood pressure or loss of consciousness. However, the study has yet to be published, so the company’s baseline for low blood pressure and the full results of the study itself are not available to the public. According to Dr. Supriya Sharma, the chief medical adviser at Health Canada, the product labeling for Addyi is “slightly less restrictive” in Canada than it is in the U.S. The Canadian label does not recommend that patients “absolutely abstain from alcohol.” Instead, guidance suggests women should limit and monitor their alcohol intake if necessary. They also added a contraindication for women with low blood pressure. The NWHN believes that there is not enough information about flibanserin for women to be able to make fully informed decisions about using the drug. Therefore, the NWHN cautions women against using Addyi. If a woman thinks Addyi is the right choice for her, the NWHN suggests following the FDA warning and not drinking alcohol while taking the drug.